MMET: We continue our visits in fish auctions markets! Another visit took place in the context of the MMET project at the Kapani Market, the most popular and busy marketplace of Thessaloniki. We found more than enough elasmobranch specimens to collect tissue samples for genetic analysis. 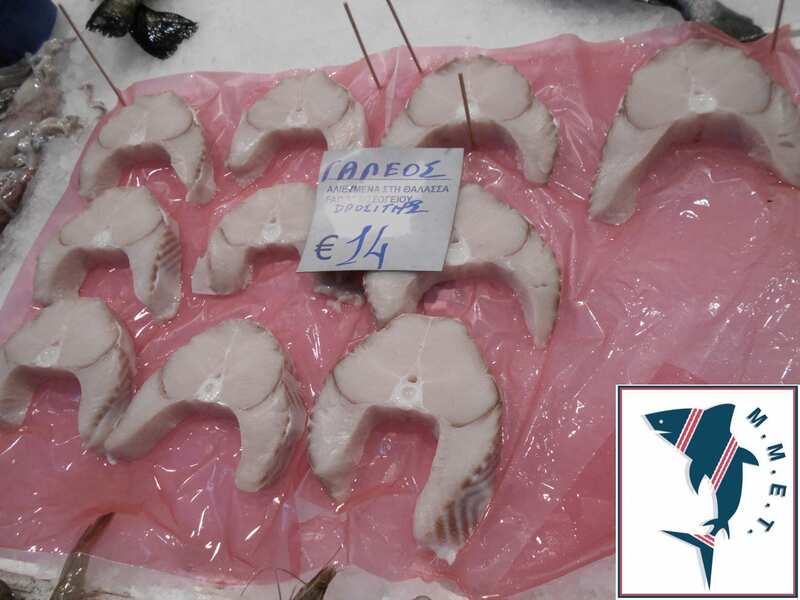 Unsurprisingly, all of the marketed shark and ray species were sliced and labeled as “Galeos” or “Rina”. There is still a lot of work to be done in order to have a clear picture about the illegal trade of sharks in Greece, will continue working towards this end. If you want to participate or learn more about the project click here. Engage kids to protect our seas!